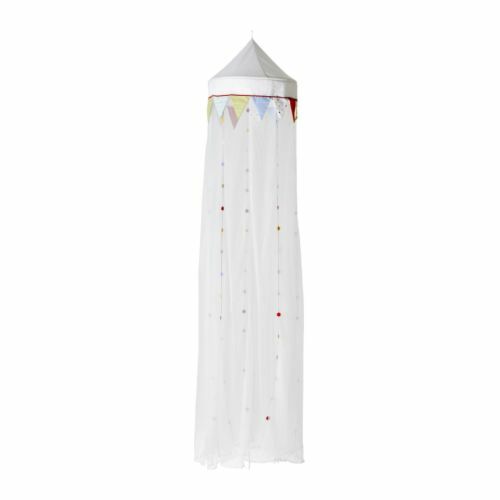 My thoughtful mother-in-law found this ikea bed canopy at a yard sale almost two years ago for Lucy's room. While I really like it, I wanted to change it up a bit for Nora's new room. I found this sheet of linen scrapbook paper that I've decided to use as the color inspiration for the nursery. With that in mind, I chose a rust red corduroy (that looks velvety) to alter the canopy. I cut off the old flags. Then I made a template for my new flags. I'm really happy with the way it turned out! It's sort-of a cross between between a flower and a circus. love, love love the color of the *crown*. Lovely! Good choice1 I love the new shape to the flags. As you said it looks more like a flowery covering! What a creative creature you are. You truly are gifted! JJ, you are amazing! I love your projects. Thanks for sharing!! Awesome job, I absolutely love it! Love all of your ideas. When you get a chance to breath, we need more! Beautiful! What a great "recycled" project! You’re always doing great work and come up with new things. Everybody should try new things. Appreciate your efforts.